The world is changing rapidly and natural gas utilities must manage the integrity of their assets while delivering the maximum value to the company. Making the right decisions on how best to sustain and expand this infrastructure is becoming increasingly challenging in the face of changing regulations and ever-increasing budgetary and resource constraints. To meet the needs of today’s stakeholders, utilities need to strike the right balance between enhancing the safety, integrity and reliability of existing assets, while investing in new initiatives and system expansion to grow the business. Copperleaf’s enterprise software solutions can help utilities align their investment strategies and direct funding to the activities that will best address all of these key challenges, today and in the future. Copperleaf’s software solutions for investment decision analytics and integrity management help utilities bridge the gap between asset management, risk management, finance and corporate strategy. The Copperleaf™ Integrity Management (CIM) solution provides a more efficient and proactive approach to ensuring safe and reliable natural gas service and meeting TIMP and DIMP requirements. 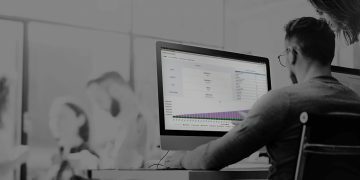 Copperleaf C55 is a unique decision analytics solution that helps organizations decide where and when to invest in their businesses to meet their strategic objectives, and deliver increased customer and shareholder value. 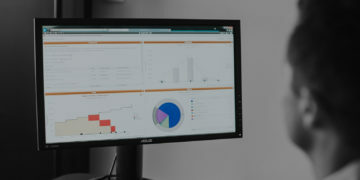 Copperleaf’s software solutions are designed to connect seamlessly into your IT environment, and provide analytic and decision support to optimize complex investment decisions across your entire organization. Integration with EAM, ERP, APM, GIS and other systems provides a consolidated repository of asset and investment planning data, enabling all of your stakeholders to collaborate and base decisions on the most current information. Maximizing the value from your gas assets and meeting your integrity management requirements has never been easier. Find out why Copperleaf’s solutions can make a significant impact on your organization’s ability to perform.